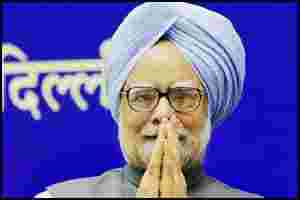 Four years ago, at the Hindustan Times Leadership Summit, Prime Minister Manmohan Singh called for a change in the political culture in India. Singh has always been accused of being a reluctant politician despite spending almost two decades in active politics. So, many viewed his suggestion as a call for a change. According to him, politicians tend to become short-term maximisers in competitive politics. In his address Singh had said: “It is for this reason that democratic and plural societies need a social group capable of long-term thinking. (We need) Men and women of wisdom, capable of strategic thinking (and) with the self-confidence to articulate them. People with a stake in the future, with no vested interest in the political battles of the day… Think about the future and its various possibilities." The actions of every chief minister, minister and people’s representative have come under public scrutiny. In private conversations, politicians admit that this is disturbing, because while putting them on guard, the heightened public scrutiny leads to inaction as well. However, activism – which of course has received a fresh lease of life after the Hazare campaign – has redefined the contours of governance. Governance is no longer development alone but it’s more of transparency and accountability. These cannot be the key attributes to governance in a country, where, according to 2001 census, there are around 2 million homeless, around 7.8 crore rural households have no electricity, and about 40% of all villages are not connected to the all- weather road network. It’s the lack of faith in the administration and politicians that lead to public protests against development projects. The activists and locals in Tamil Nadu’s Koodankulam oppose the 2000 MW atomic power plant, citing apprehensions of losing livelihood. In Jaitapur in Maharashtra, it’s the acquisition of farm land coupled with the fears of a possible nuclear disaster that made the protesters take to the streets against the project. Power projects – be it nuclear or hydro electric – across the country are facing ire from environmentalists because they say the projects were conceived insensitively. The nature of political behavior, attitude and participation in the political process of voters has also undergone drastic changes. However, this, obviously, is not the change the economist-turned Prime Minister was expecting. Ironically, even the image of the Prime Minister, who pitched for “people who don’t think just for a section of society, for a region or a religion, for a vested interest or for short-term gains" has been dented severely. He has been accused of closing his eyes to wrongdoings in the ministries and he himself termed them as “coalition compulsions."